Calling all monsters! Are you a freak? A demon? An unimaginable thing from between the stars?….a machete wielding maniac? Perhaps a crazed doctor…reanimating unfortunate individuals? 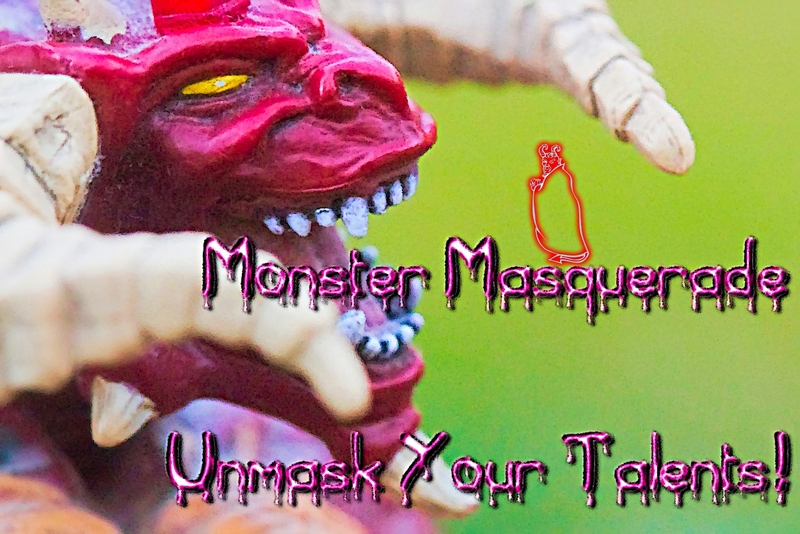 Monster Masquerade opens its claws and welcomes you! Do you have a monstrous expression that will make everyone run for their lives? • Create your vision of a monster. • Post it on your blog. • Post your link in this comment section for your work to be featured on this blog. Monster Masquerade raises hell on October 21, 2015—and will cease to exist after Halloween 2015. FlyTrapMan did a lot of the work, but thank you Maxima! Have a wonderful day! !